Your dentist will look for any abnormalities in the head and neck area and also thoroughly check the inside of your mouth for anything unusual. Many patients are unaware that their dentist will be looking for lumps, bumps, swellings or ulcers that could indicate underlying problems such as oral cancer. The teeth will be charted which means noting decayed, missing or filled teeth. 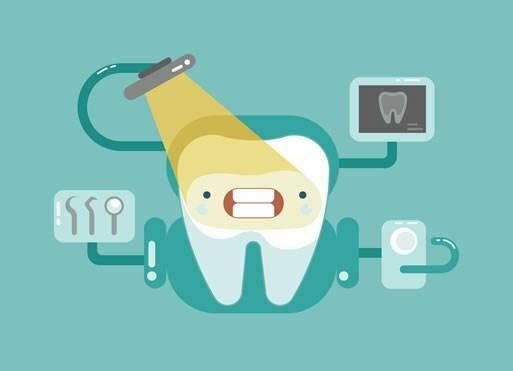 X-rays are important as your dentist is unable to see in-between the teeth or under fillings just by looking in your mouth. An intra-oral x-ray examines a few teeth at a time. A panoramic x-ray provides a broad view of the teeth, jaws and sinuses. Many people are concerned about the radiation they are exposed to by dental x-rays. However, dental x-rays provide very low doses of radiation. For example, 4 intra-oral x-rays are equivalent to around 1 day of background radiation or a flight of 1-2 hours. Background radiation is the amount of radiation you are exposed everyday just by going about your daily life.